ComputeStarDiscrepancy(sample) Compute the star discrepancy of a sample uniformly distributed over [0, 1). generate(*args) Generate a sample of pseudo-random vectors of numbers uniformly distributed over [0, 1). getDimension() Accessor to the dimension of the points of the low discrepancy sequence. Compute the star discrepancy of a sample uniformly distributed over [0, 1). Star discrepancy of a sample uniformly distributed over [0, 1). Generate a sample of pseudo-random vectors of numbers uniformly distributed over [0, 1). Number of points to be generated. Default is 1. Sample of pseudo-random vectors of numbers uniformly distributed over [0, 1). 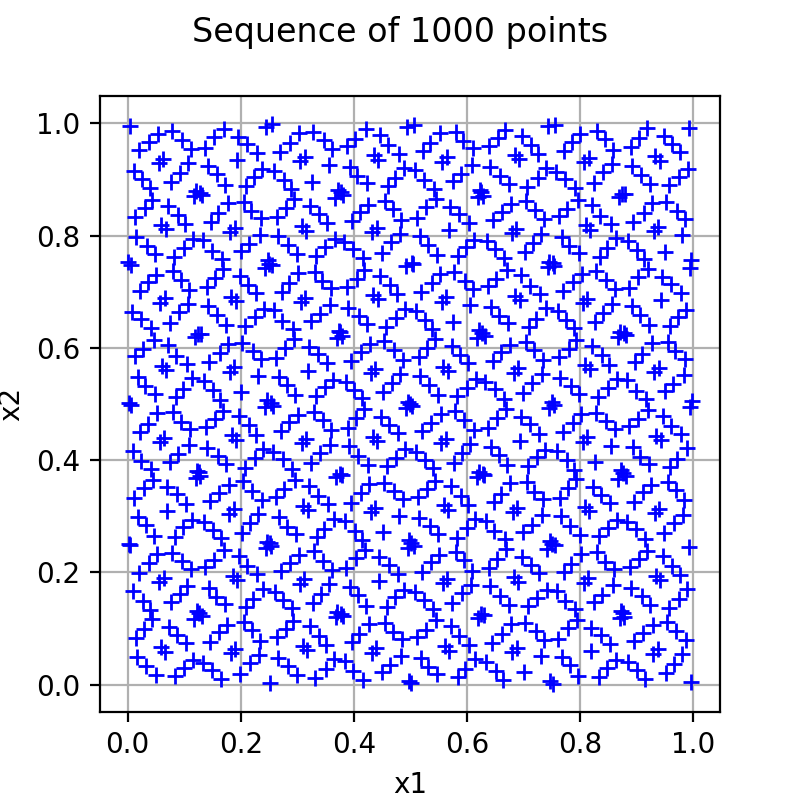 Accessor to the dimension of the points of the low discrepancy sequence. 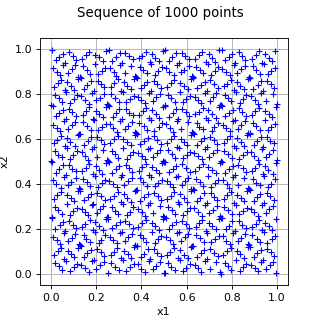 Dimension of the points of the low discrepancy sequence.